It’s definitely starting to feel like full-on Christmas and holiday season now, at least in my household and hometown. Holiday music playing, tons of superb lights and decorations on the streets and at many people’s houses, and my daughter must be on at least Version 5.2 of her Xmas wish list. I’m feeling absolutely in the holiday mood this year, very much looking forward to Christmas – and also definitely in the mood for some fun holiday iPad wallpapers. 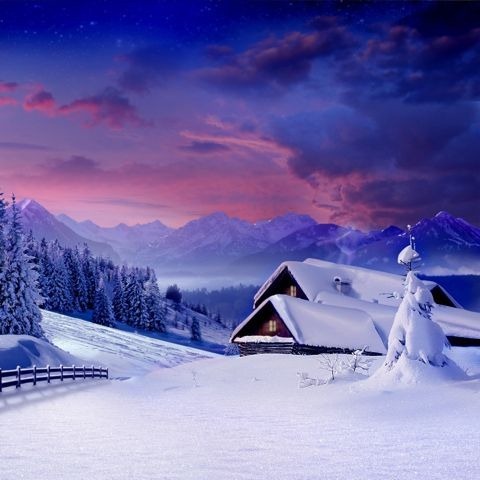 Like the beautiful wintry scene shown above. 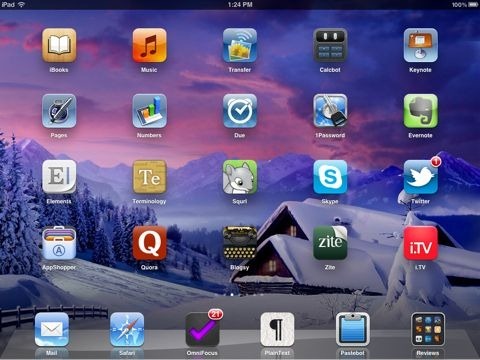 It looks great on the iPad home screen. Be aware that this one works very nicely in landscape mode, but is misaligned when you have the iPad in portrait mode. Both are from the always excellent Pimp Your Screen app. You regularly quote a price and when I go to download the app, the fee is higher than in your article. I quote App Store prices as they are at time of posting, double-checked right before publishing a post. If a price listed is a sale price I make that clear within the post and specify a timeframe if the developers have announced one. Beyond that, there’s not a lot I can do about prices fluctuating in the App Store.